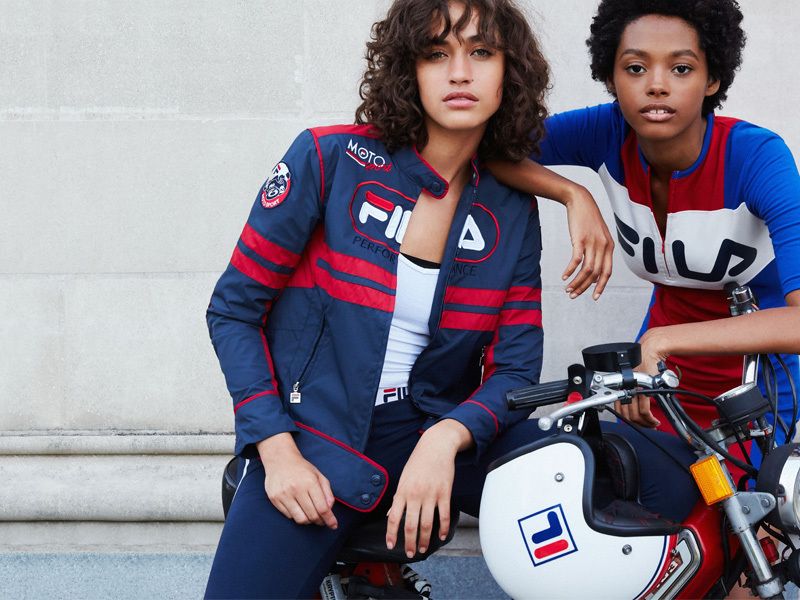 (FILA North America) - FILA and Urban Outfitters are excited to launch their latest collaboration, inspired by FILA’s history in extreme sports, with motocross influences at the forefront for this Fall 2016 collection. Updating signature styles from FILA’s storied past has reintroduced FILA’s brand story to the modern Urban Outfitters customer; tennis legends of the 1970’s served as inspiration for last year’s inaugural FILA+UO line. The latest lineup includes nine new styles for women. To capture the motocross motif, details reminiscent of racing stripes and emblems adorn fitted jackets, form-fitting dresses, cropped tanks, sweaters, and leggings. The Fall 2016 FILA + UO collection is highlighted by the woven Moto Sport Jacket, designed with a sporty, vintage flair, in maroon, white and navy hues. Prices range from $39 for the Fiesta Cropped Tee to $179 for the Moto Sport Jacket. The FILA + UO pieces are exclusive to Urban Outfitters and will be available in-store beginning August 22 and online at UrbanOutfitters.com, beginning August 29​​. The Fall line will also be featured in a new ad campaign shot on the Princeton University campus. The campaign will appear on billboards within top markets, including a month long takeover of the Walgreens building in Times Square (aka the building where the ball drops on New Year’s Eve). The campaign will culminate in a special music performance, presented by FILA and Urban Outfitters and headlined by Shura, at the UO Cambridge location on September 7. The concert will also feature a local college band as the opening act, selected through a local contest held earlier this month.